A yacht club in Maryland was seriously damaged after an electrical malfunction ignited a nine foot artificial Christmas tree earlier this month (December 12). 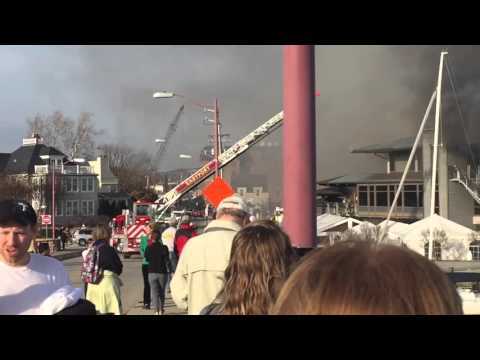 The fire at Annapolis Yacht Club spread quickly and it took the fire department five hours to put it out. 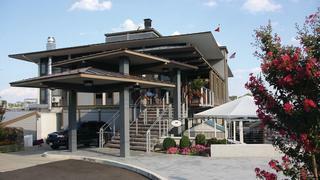 The historical yacht club is a landmark institution in the state capital and a spokesperson said they will now look to rebuild. Damage is estimated to be more than $9 million and the greatest damage occurred on the second and third floors of the building where models of wooden sailing boats were burned and silver sailing trophies melted. No yachts were damaged by the fire. With Christmas around the corner, the staff were preparing the venue for hundreds of reservations that evening but luckily the clubhouse was closed at the time. When the alarm went off the staff were evacuated and nobody was hurt. Entertainment was planned to celebrate the annual lights parade of boats but the event was cancelled and early visitors watched the blaze instead. Debbie Gosselin, who starts as the club’s new commodore on January 1, said: "I'm just so grateful that it happened when it happened — not when we had hundreds of people. That's the amazing part of it and the good luck we had, because there were not very many people in the building". A researched from Department of Fire Protection Engineering at the University of Maryland reemphasised the danger than artificial trees can present. "Artificial trees, like any plastics, they're petroleum based," he explained. "So they can be fairly energetic when they burn, that's a standard hazard we kind of forget in our homes." There have been several stories of fires on yachts this year but this yacht club disaster emphasises the very real danger that fire presents.